Welcome to our new redesigned Smartygames site! classroom, you just landed in the perfect place. 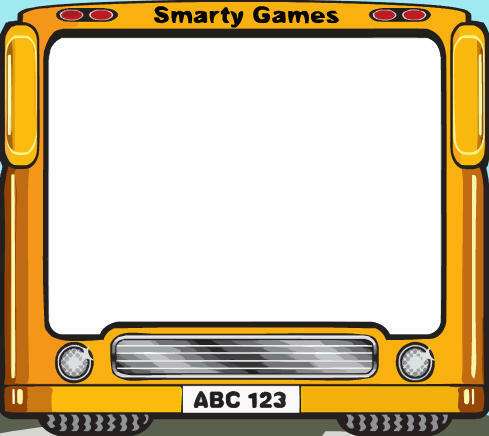 Smartygames is a free, ALA and KidSAFE® approved children site that has been helping kids learning while having fun for over 8 years, and it is only getting better! Our kid-friendly games are organized in different categories. There are math games that cover basic addition, subtraction, multiplication and division. The reading section includes animated ABCs, action-word flashcards and short stories. Other sections include coloring, dot games, mazes, memory puzzles and games that teach children to tell time and manage money. Some of our games are still Adobe Flash®-based but they are being redesigned to be mobile friendly, including our iconic “Hero Michael” math platform games. Yes! You will be able to play them on your tablet, phone or PC! We are looking forward to many more years of fun learning with Smartygames on the go! 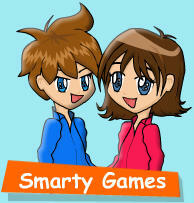 Our moto At Smartygames.com, we strive to provide the best free educational and fun games for children on the internet. Our mission is to help every child develop his/her passion for lifelong learning. 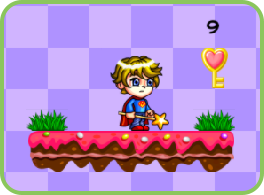 Hero Michael, Platform game Help Hero Michael to save the Princess. You can choose between addition, substraction, multiplication or division questions. 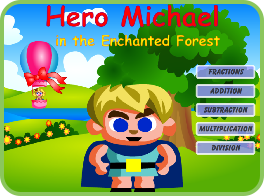 Hero Michael in the Enchanted Forest Hero Michael is in the forest and his adventure is more challenging now. Practice fractions and basic math operations with numbers up to 100. Have fun! 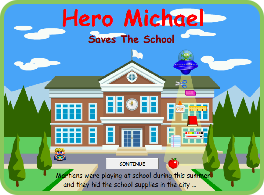 Hero Michael, Saves the School Help Hero Save the School! Martians hid the school supplies. Use your math knowledge to help Hero Michael save the school. 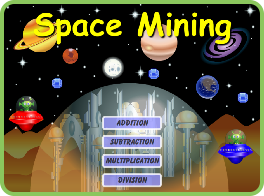 Space Mining This is an innovative Two-Player Game. You can have a math duel in space and learn. Enjoy it with your family and friends. 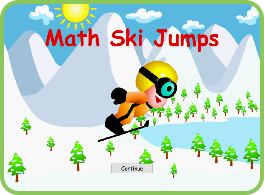 Math Ski Jumps Add, substract, multiply or divide as fast as you can to help the skier jump very far or even make him fly! Enjoy it with friends and family. The best score is always shown. 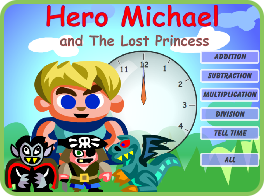 Hero Michael Teaches Math New mobile- friendly Hero Michael game that teaches the clock and the basic math operations.